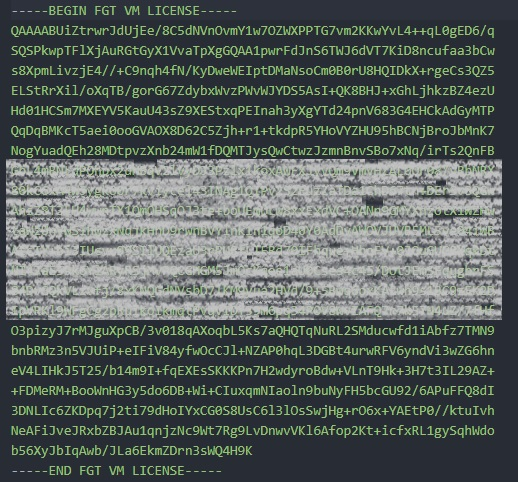 This section explains how to add bootstrapping of FortiGate CLI commands and a BYOL license at the time of initial boot-up as part of a Terraform deployment. You can find the example file on GitHub. 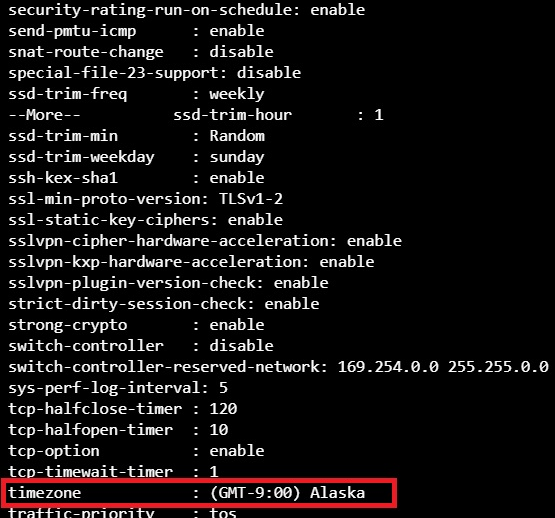 This example CLI sets the timezone as GMT-9 Alaska. You can replace these lines with your own set of CLI commands. Upload the config.txt and license.txt files under the directory on your local PC where you also run Terraform. Point to the correct paths in variables.tf, the Terraform variables file. On Windows, you do not need to specify the C: drive in paths. 33 // Comment out the following if you use the feature. Run Terraform as described in Using Terraform to Deploy a Single FortiGate-VM. After deployment, log into the FortiGate by accessing https://<IP_address> in your browser. The system displays the dashboard instead of a license upload window, since the license is already activated. To see how bootstrapping went, check if the command was successfully run. Open the CLI console and enter diag debug cloudinit show. If the cloud-init was run successfully, the CLI shows Finish running script with no errors. Check the timezone by running config system global and get commands. The timezone was changed to Alaska as expected, meaning that the bootstrapping CLI command was successful.